No, "backwards-told" doesn't mean that you need to read the story while looking into a mirror. That would just be absurd. In this case, it is more like the movie Memento. PenguinComics has created another of their Generic Adventures books. This time it's designed for one player and one GM as the story unfolds in a series of flashbacks. And you can pick up your copy for just $1. Do you remember the Christopher Nolan’s hit-movie MEMENTO from 2000? Generic Adventures: Vestige is a BACKWARDS-told fantasy thriller adventure, where the adventurer battle it out against foes in a castle, in a story told by flashbacks. Vestige calls for only one adventurer with one GM. Heavily inspired by Dumas’ Man in the iron Mask and the movie Memento, this adventure is linear, but amazingly rewarding and fun to experience. 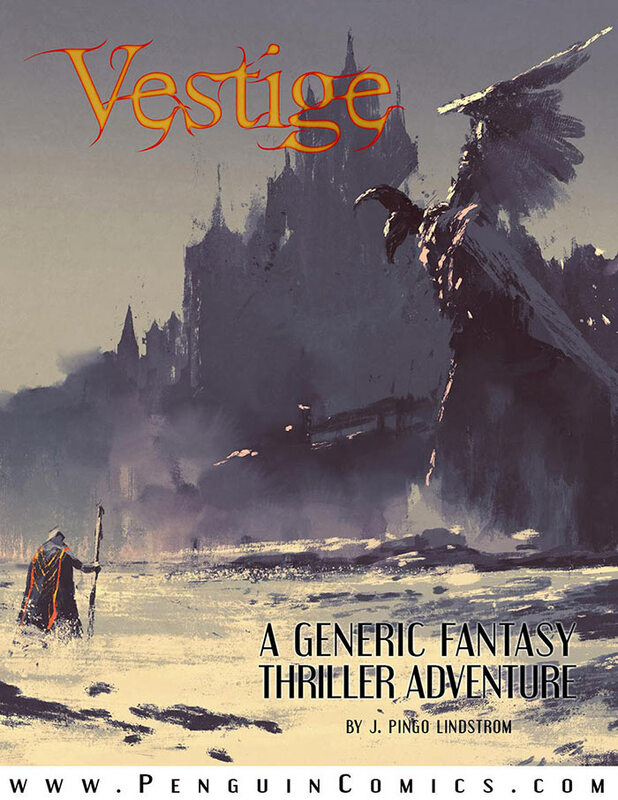 As with all other Generic Adventures, Vestige is available at DriveThruRPG for only $1! All our other Generic Adventures are now being published as eBooks at iTunes, Amazon and Barnes & Noble.